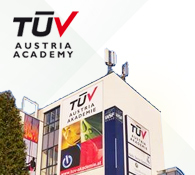 TÜV AUSTRIA performs the essential steps of a Risk Based Inspection analysis, like assessment of the probability of failure (PoF) and the consequence of Failure (CoF) according to the principles of the European RIMAP, as described in the CEN Workshop Agreement CWA 15740. Within this approach, the effort of the analysis is rather on lifetime assessment and establishing inspections plans for equipment than on calculating effects of leakages in very much detail. The analysis is performed and documented in the corresponding software tool established by TÜV AUSTRIA.